Nottingham Trent University was established back in 1843 as Government Design School, before eventually becoming a full-pledged university in 1992. The University is renowned for its research with 90% considered as world leading standard, as assessed by the 2014 REF. The university has one of the best employability records amongst English and Welsh Universities, maintaining close ties to over 6,000 businesses and 94% of students progress to full-time employment or further education within six months of graduating. The University is also reputed as the most environmentally friendly university in UK by The Guardian. Nottingham Trent University is rated between 601st and 800th in the world and 83rd in the UK by the Times Higher Education World University Rankings 2018. The University is ranked between 801st and 1000th in the world according to the 2019 QS World University Rankings. The University achieved the Teaching Excellence Framework Gold Award in 2018. 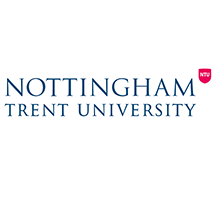 The Complete University Guide named Nottingham Trent the "top post-1992 University" in the country in 2018. Academically, the University’s strength lies in Art and Design Subjects (8th), acknowledged by the Complete University Guide 2019.